A decade of research on Russian case semantics has come together in a valuable new pedagogical tool through the work of Laura Janda and Steven Clancy. The Case Book for Russian, a textbook and exercises, presents the Russian case system in terms of structured semantic wholes. This method of explanation is easily accessible to students and provides a coherent conceptual framework that accounts for the rich and often confusing details of Russian case usage. Throughout the text, the basic meanings of the cases are illustrated with examples from a large database of Russian prose, compiled specifically for this project. Examples in the text and exercises were taken from a variety of sources (primarily books and newspapers of the past decade) and are representative of multiple genres and fields (fiction, current events, contemporary history, politics, law, economics, science and medicine, etc.). By confronting real case samples in an unadulterated form, students can learn to make sense of the systematic meanings of case in a fashion that will approach the understanding of a native speaker. The accompanying exercises continue the presentation of the text and challenge students to implement the concepts they have learned. The interactive version (CD-ROM for Macintosh and Windows platforms) contains recordings of all examples by both male and female native speakers. As students work through the exercises, they can consult the electronic version of the text for quick reference and can print out summary sheets of completed assignments to hand in for class. This book can be used at various levels of study (intermediate through very advanced), and can be used alone or in conjunction with any other materials. 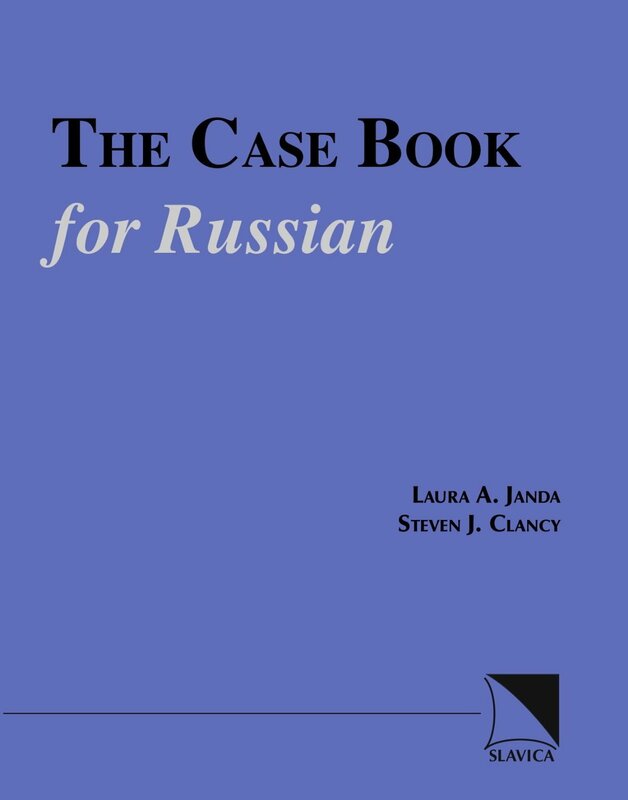 The Case Book for Russian can also be used for independent study by anyone interested in maintaining and improving their Russian.